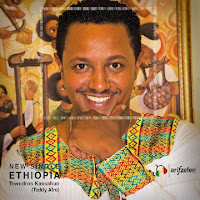 Review: Teddy Afro's New Album - Best Ever ? Ethiopian musician Tewdros Kassahun known with the stage name "Teddy Afro" has released a new album this week. Initially, it was intended to be released two weeks ago at the eve of Ethiopian Easter. However,according to ethiopicalink radio station, events associated with album cover printing and a disagreement between major retailers caused the delay. There is always an anticipation from his fans that he would deliver the best songs in his album and it would not be an exaggeration if one says he leveled up to that expectation. 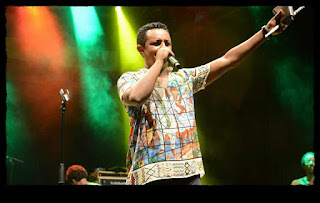 However, song expert Aberham Tesfaye has criticized the production of the song that is entitled "Ethiopia" which was released two weeks ago from the recent album. On the other hand, songs like "Olan Yizo","Atse Tewdros", "Mar Eske Tuwaf" and "Yamral" are getting high admiration from his followers on social media. In addition, from the interactions I had with my close friends, I had been able to observe that many of them like both the melody and the lyrics of the songs. Some of them have even claimed his recent work as the best ever. Do you agree? or is it an early impression ? Considering the previous albums and their success, it is a sure thing that many will be entertained at his upcoming concerts while performing his latest songs.We hope the promoters in Sweden will do their best to bring him for a live stage performance.On a last note, I personally thought he should have labelled his album "Olan Yizo" since I found it catchy. What are your thoughts and opinions regarding the new album? Order your copy at https://www.cdbaby.com/cd/teddyafro114.